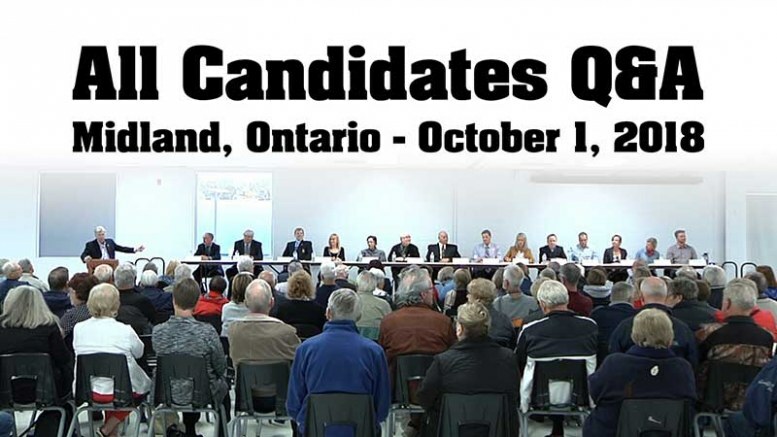 Midlandcommunity.ca in tandem with the Downtown Midland Business Improvement Area (BIA) proudly presented ‘Meet The Candidates Night’ on October 1st to a packed house at the North Simcoe Sports and Recreation Centre. Nineteen (19) candidates spoke to their vision for Midland and responded to hard-hitting questions about Taxes, Policy, Safety, Downtown and Midland Bay Landing Development plans, to name but a few. Please enjoy the entire evening’s event below, in two parts. Midland Matters, You Matter and Your Vote Matters. Be the first to comment on "Meet the Candidates for Midland Council"